Don’t sizzle out on Summer Reading! With summer pushing half way over it’s time to renew that drive to keep reading! Like many goals, it’s easy to become tired of our goal and feel like quitting. We don’t feel like it’s getting us anywhere or we are just bored with the same old routine. Now is the time to change things up a little to keep from getting tired of our goal to read every day. Make time to read together this summer! Maybe now would be an appropriate time to read aloud to someone instead of reading alone to ourselves. 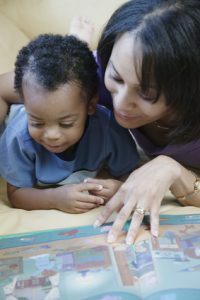 If you’ve been spending time reading aloud to your children, maybe it’s time to add reading a book for yourself. Change things up completely or just add something new to your routine. Look for a new author that you’ve never read before or pick up a book from your favorite author that you haven’t read in a while. Try an old classic or maybe even the latest trend in books. Even apps such as Audible are a great tool for busy parents! Most of my life, I’ve read the same four authors or so. I really enjoyed their books and would switch between them. In high school, however, I was “forced” to read outside my box and I really thought each time that I would hate the book because it wasn’t by one of my favorite authors. I was surprised each time because I found that I liked the classics. “Where the Red Fern Grows”, “The Scarlet Letter”, and “To Kill a Mockingbird” were all books that I thought I would hate, but ended up loving! Every now and again a series of books come along and everyone wants to read them. I’m not one to follow the crowd and many don’t appeal to me but once I tried a popular series and loved it. My son wanted to read the Hunger Games series and I wanted to know what he was reading. The series seemed to be interesting and so I read it along with my son. We both ended up loving it and because we read it about at the same time we had something to talk about together. If you have teenagers or remember being a teenager then you know, having something to talk about with your teenage child can be remarkable. Trying something new renews your goal to read every day and it may give you something to share with someone you love. It’s hard sometimes to keep up with long term goals; short term goals are generally more rewarding, or at least they feel like they are. In truth, though, following through with a long-term goal can be even more rewarding. It gives you more of a sense of accomplishment then short-term goals do. Maintaining a long-term goal, such as reading every day, helps you feel good. It helps you to realize you are doing something good for yourself and others if you are reading aloud to someone. In June, I challenged you all to read every day this summer and to encourage your children to do the same. June is over, and July will go just as fast! Before you know it we all will be back into the school routine with our children and may feel that there is less time. Take this time to stay in the routine of reading every day and you will find that it is easier to continue come this fall. Do not let boredom with your routine get you down, change it up. Keep it interesting and keep reading.